Having grown up around music and theatre, participated in performing arts, taken instrument, singing and stagecraft lessons and formed my own bands to record and perform at numerous events and festivals, both locally and internationally, I decided to pursue my interest in recorded sound and music production and enrolled on the BA Honours Popular Music at the University of Gloucestershire. I spent much of my time writing and producing music for the course, for myself or for other musicians. I started to learn that the skills I was using were transferable and could be used for more than just “music for music”, I was able to extend my experience and use my skills in composition, post-production, sound design and live sound engineering. I produced and presented a regular radio show on Tone, the student radio station. I graduated with a First Class degree, with Honours. Since then, I’ve been working as a freelance sound engineer in the live events, festival – working with Artists like Elli Ingram, Nick Mulvey, Sam and The Womp and Heck, and at events such as the Cheltenham Literature Festival – and corporate events sectors, providing live audio and recording services at events including L B Cambridge “Summer School for in-house lawyers” and the Nestle Health Science symposium. 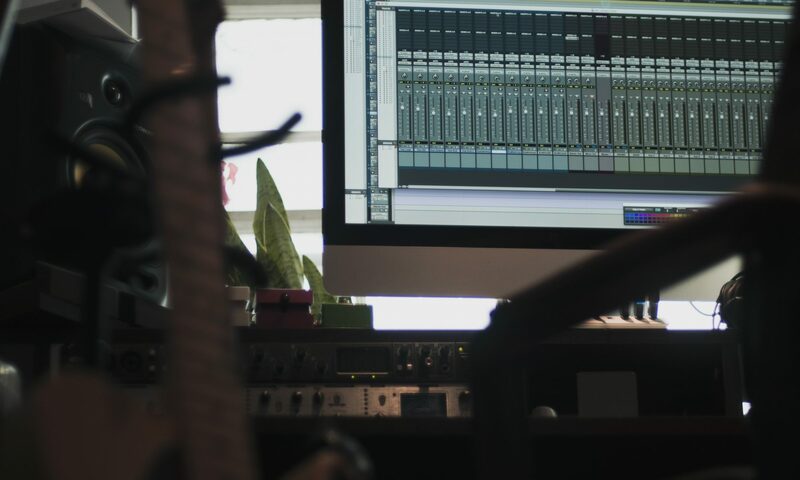 I love recording music and sound, working with bands and other creatives to a deadline and within a budget. I am keen to gain greater experience in a recording studio and production/post-production environment. With real-world knowledge and experience in live sound engineering, post-production, audio/music recording, mixing and mastering, as well as official training and certification in industry standard software (Pro Tools and Logic Pro X), I offer a range of services to an employer or on a freelance basis, dedicating my skills and interest to a diverse range of sound and music projects, all of which are creatively exciting. I am always looking to grow technically, creatively and professionally.